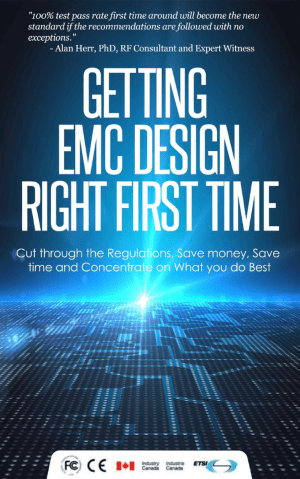 Choosing the right EMC test lab can make a huge difference. It can directly affect your time to market, your budget and also your potential liability in the future. So it's important to choose wisely. In this part of the guide we'll cover some criteria that are worth thinking about when choosing your 3rd party lab. 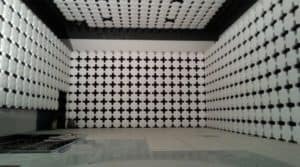 For engineers new to EMC testing, it would be easy to get several quotes from 3rd party test labs and just choose which one to go with based on price alone. So rather than consider the EMC test lab industry to be 'commoditized', it's really worth your while to chose the right one. One of the largest distinctions between test labs is whether or not they have been 'accredited'. This just means that an approved 3rd party organization such as the Standards Council of Canada (SCC) or A2LA have actually traveled on site to evaluate things like processes, documentation, calibration and staff competency amongst other things. Accreditation does not absolutely guarantee the quality of a test lab. In many cases, the final test results are still a function of the competency and ethics of specific engineers doing the testing. There are also claims that some accreditation bodies are far easier on test labs than others, leading to different qualities of accreditation. And in fact, the FCC only recognizes test results from labs inspected by their approved list of accrediting agencies. But choosing an accredited lab as opposed to a non-accredited lab will at least give you some confidence that the lab knows what they're doing. The main reasons for not choosing an accredited lab are typically cost (cheaper) and location (non-accredited lab nearby). If you choose to go the accredited route, make sure that the test lab is accredited for each specific test that you need them to do. Many manufacturers prefer to use a test lab that can handle every test the product needs to pass - and understandably so. That may include a whole barrage of tests, such as EMC, safety, SAR, wireless, environmental and more. But this isn't always the best route to go. Specific labs may have higher degrees of expertise in specific areas or with specific product types. You might like to work with a particular EMC engineer from one company for EMC tests and a test engineer from a different company for safety tests. You'll also need to make sure that the certificates or reports that each test lab generates are acceptable to your end customer, or for a particular geographic region. Often you'll be forced to not use a one-stop-shop for these reasons. But, if you find one that ticks all of your boxes, then one-stop-shops can help to speed up time to market and also cut down on administrative overhead. Lead times of EMC test labs also vary wildly. They can vary from same day bookings, to several weeks or months, depending on the lab and their schedule. If the lead time is huge, it can be super inconvenient. Firstly, you'll need to book far in advance and the time-slot may not coincide with your ideal test time. Secondly, if your product fails, it could take weeks for them to fit you in again. Large test labs also have a tendency to 'bump' smaller customers in favor of large repeat clients. So watch out for them moving your time-slot to accommodate someone else! Make sure to ask EMC test labs that you're evaluating what their lead time is. Which Countries Can They Service? EMC test labs often (but not always) have to be registered with the governing body of a country for their test reports to be valid for importing products into that country. So if you happened to use a test lab that wasn't registered with the VCCI (Japanese governing body), if you want to import your products into Japan, you're going to need to have your product re-tested at a different lab (=unhappy day at work). For some stubborn countries such as China, they won't even let test labs outside their borders test products destined for China. This is probably more of a measure of trade protection than it is for quality control, but whatever it is, the end effect is that if you're designing products for the Chinese market, you'll need to have them tested at a test lab within China. Make sure that you confirm with your test lab that the test reports will be valid for X country before you have them tested! The technical expertise of EMC test lab staff can vary wildly. You might get unlucky and get a button monkey who's sole job is to follow precise instructions and can't offer any further advice on top of that. You really want to go with a place that has very experienced staff, not just from the testing perspective, but also from the design perspective, so when the inevitable happens, they can offer more in-depth advice that just adding chokes and copper tape. If you go with a place with relatively inexperienced staff or with minimal design knowledge, you're either going to be on your own when it comes to debugging (which might be fine if you're experienced), or you'll need to hire an expensive consultant to help. The final thing to point out here is that it's very easy to screw up an EMC test by using incorrect test equipment or selecting the wrong settings. An inexperienced engineer might use a cable adapter or attenuator not rated for the correct frequency range which could potentially attenuate emissions at higher frequencies. Or perhaps they forgot to include the attenuation factors in software for a specific cable. You could end up with incorrect test results. This is why it's important to go with a lab that has very experienced and well trained staff. Check out our chamber guide and emissions testing guide for more details on the pros and cons of these. For immunity testing, can they actually test to the levels and standards that you need them to? Does their ESD simulator generate high enough voltages? Are the 'EFT' or 'Surge' pulses high enough amplitude? Or are they hacking together test set-ups with lots of non-ideal equipment? You can get the answers by either asking them directly or asking for their accreditation certificate which should outline each of the tests that are fully compliant. For some manufacturers, it's critical to use a nearby test lab so that engineers can travel with the product to the lab. For others, the priority is price or some other factor that makes it worthwhile using a test lab further away or even in a different country. The main issues that come up when using a far away test lab is what happens if your product fails testing. Does the EMC test lab have competent staff on-hand to do some simple debugging without you there or are you going to need to travel to the lab? Have you factored in the shipping times back and forth if your product has to go through several iterations to pass? Are there language barriers? There are lots of priorities to balance when selecting the location of your test lab. Test lab costs can vary a lot from lab to lab. Geography plays a big part (labs in the far east tend to be a lot cheaper), but even labs within the same state or country can vary +/- 50%. In the future, we'll be doing a blog post on EMC test lab costs around the world. In the mean time, scroll down to the section on EMC test lab pricing for more information. In North America, there's a designation of test lab that you can think of as being a level above 'accredited'. The FCC calls these 'TCBs' which stands for 'telecommunication certification bodies'. These are the labs that have been around long enough that they're trusted to review wireless certifications for the FCC. The FCC delegated this task to the private sector many years ago when they couldn't cope with demand themselves. For many manufacturers, the typical path to wireless certification is to have your device tested at a local lab. Often that lab happens to be 'listed' or 'accredited' rather than a TCB. If that's the case, then the listed or accredited lab must submit the test reports to a TCB for review before getting the final grant of authorization. More often than not, a TCB will find issues with the test report or documentation so the application is bounced back to the initial test lab. This process may go back and forth over the course of a few weeks until all of the issues are resolved. You can speed up this process significantly by just having your product tested at a TCB rather than at a listed or accredited lab. Just cut out the middle man. The TCB would be inclined to not find fault with its own testing practices (although I'm sure the reviewer would be separate from the test lab division for conflict of interest reasons). But the upshot is that you don't have nearly as much back and forth with the test lab getting the application correct. Their prices also tend to be slightly cheaper once all application and processing fees are included. So if you want to save potentially several weeks time to market and some money on your next wireless certification, I recommend finding a good TCB. There's a link to a list of TCBs in the directory section below. Here's a non-comprehensive list of EMC test lab directories around the world. If you have any to add, drop me a line (andy (at) emcfastpass (dot) com). 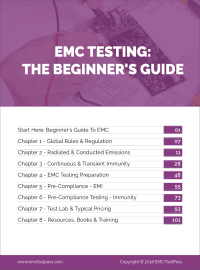 Costs for EMC testing vary wildly. They vary depending on the product type and function as well as varying massively from lab to lab (for exactly the same test schedule). Note that this ballpark pricing is for EMC and RF testing only. If your product needs any other types of testing, those costs will be on top of these. For FCC and CE EMC testing, the fees above are a one-time deal i.e. there are no follow up costs associated with FCC and CE EMC testing. For many other types of testing, especially safety and medical, you may need to pay an annual fee to have an inspection of your product and/or manufacturing facilities to ensure that there is ongoing compliance with the rules. This is if everything goes perfectly! List the mandatory tests to be conducted for EMI/EMC under standard 61000.